Can you believe this weekend is the 25th anniversary of Aladdin? Arguably one of the best Disney films of all time! To celebrate, I made some simple food art fruit skewers. These are great food art DIYs perfect if you’re newer to doing food art, or want something simple. Plus, it’s a great way to help encourage picky eaters to eat their fruit, or try new things! Cut your mango into large, thick slices. Use a small paring knife to cut a lamp shaped silhouette. Place strawberries, blackberries, and your mango magic lamps on skewers. 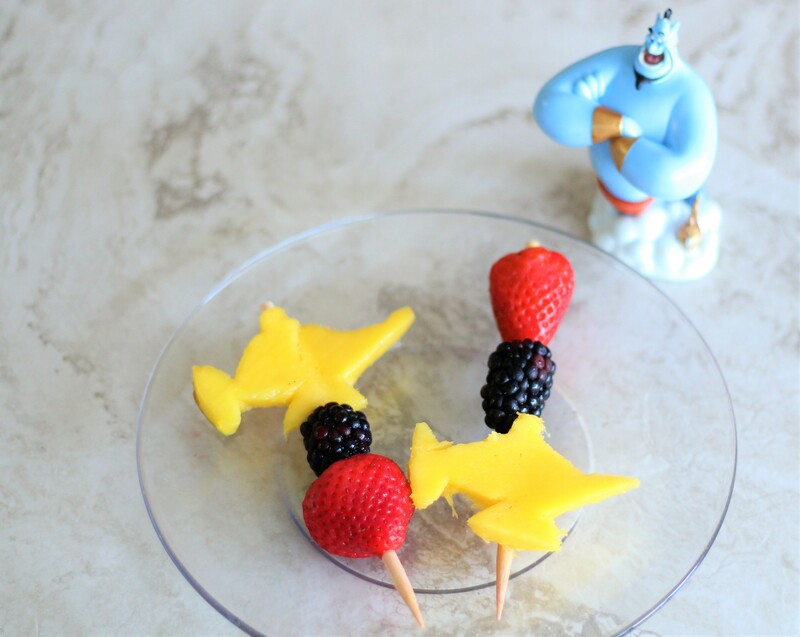 For more Aladdin inspired recipes from The Healthy Mouse, click here. Have a 101 Dalmatians Movie Night With Kanine Krunchies!